Artist’s impression of how the west Cambridge sports centre could look. On the 25th of March 2010 Cambridge City Council’s Community Services Scrutiny Committee discussed “Open Space and Recreation Projects” which could be funded by contributions made by developers in lieu of providing sufficient facilities when building in the city. During this discussion Labour opposition councillors Lucy Walker and Kevin Blencowe questioned what the ruling Liberal Democrats had been doing about pushing the University of Cambridge to get on and build the sports centre which they promised would be part of the university’s West Cambridge development. Many members of Cambridge City Council, particularly the Liberal Democrats, are employed by or have other personal interests relating to the University of Cambridge. This might be making them reluctant to act in the public interest and demand that the university meet their obligations, though my impression is that its probably not that but a general reluctance by the Lib Dems to grasp the reigns of power which is behind the council’s apparent inaction. There is currently a negotiation in progress between the city council and university on the community use of facilities. There is an understandable difference of perspective here, but from what I can tell the problem is that both sides are taking unjustifiably extreme views. I think a good starting position would be to treat all residents of the city, students and non-students, equally and then make concessions allowing for the fact that Cambridge University student use of sports facilities is generally concentrated into a series of short bursts though the year and ensuring provision was made for preferential access for students in those times. Perhaps wider access to other university (college) facilities across the city could be thrown into negotiations too. The City Council’s position as expressed at the March Community Services Scrutiny Committee was to say that “the university has no clear strategy”, and the council is “awaiting a lead from the university”. Cllr Blencowe, a Labour member of the planning committee, said that the council could be doing more. He said there were £4m of unallocated developers contributions available; he urged the ruling Liberal Democrats to take a tougher stance with the university on ensuring they meet their planning obligations, he argued this was in the interests of the city as a whole, the university itsself and particularly university students. Cllr Julie Smith, the Liberal Democrat Executive Councillor for Arts and Recreation decided not to engage with the questions the opposition members were putting to her. She said it was a matter for the council’s planning committee and not for her. At a Parliamentary Hustings on the 20th of April 2010 in Peterhouse College students asked the candidates their views on the fact the university is delaying building the sports centre. The question, from Charlotte Roach, which kicked off the discussion asked the candidates how they would support a student campaign to get the university fundraising for the sports centre. The questioner said the university had recently been fundraising, highly successfully, as part of its 800 year centenary, using the sports centre prominently in materials encouraging donations but was not putting any of the money which had been raised towards building the facility. We [the Parliamentary candidates] are only a very small proportion of the people up for election in Cambridge on May 6th. Every single ward across the City of Cambridge has a council election and actually I believe in real devolution of power and you, as campaigners, ought be able to talk not only to us, but to them, as it is the case that it is the council which makes planning decisions. While I agree with the sentiment, in fact too often planning decisions are made by unelected, unaccountable planning inspectors and not local councillors; many local councillors in Cambridge don’t vote on planning applications because of restrictive rules. Daniel Zeichner expressed a view that putting public resources towards the University Sports Centre wasn’t a good thing to be doing because it wouldn’t be of any benefit to the poorest people in the city. He said he’d help the student campaigners in anyway he could but seeking facilities for privileged university students would not be a primary focus for him. He made the point that it’s not the technicality of if residents are allowed access – but more a question of the existence of the town / gown divide which would mean residents would be unlikely to make much use of a university facility. I think though that this is an opportunity to break down those barriers if a facility open to all was built. If, for example, the facility was to be available for use by schools then that would a route through which all in the city, including the poorest, would directly benefit. Zeichner indicated that one of his aims was to unite the city, I think supporting this scheme could help achieve that. I don’t really have anything to add, shall we get onto a new question. Mr Juniper has made no pretence of any intent to be an MP for Cambridge with an interest in local issues; he has made clear he wants to be a national politician. A student, who introduced himself as “the student union sports and societies officer”, suggested that the fact the university provides sporting facilities on a college level; and is reluctant to move away from that model was behind their sluggishness on the sports centre project. He said he understood they were “technically going ahead with this and raising funds” but expressed his lack of faith that they were putting much effort into it. I think the university’s failure to reform the college system to account for recent massive growth in student numbers, particularly among graduate students is a major failing of the way the university is currently being run. An alternative suggestion was that the sticking point is the city council pushing too hard a bargain on behalf of residents and making it hard for the university to be able to justify its investment in the project. I don’t agree with that take on the situation. The Lib Dems on the City Council should enforce their planning policies and insist Cambridge University gets on and builds its sports centre; and ensures there is equitable access for all the city’s residents. I think we need stronger students’ unions. I think Cambridge University treats its students unions very badly; and perhaps consequently students don’t see their potential for representing students as students and providing an opportunity to direct the universities policies. University council, and general board elections should not be separate from student union elections. I support Nick Hillman’s comment that this is a question for the City Council elections, and City Council candidates. I would urge students not to vote in the Local Elections on the basis of national party policies, but to look carefully at the way in which the Lib Dems have been running the city and at the alternatives offered. I think there needs to be a huge amount more openness and transparency with respect to these negotiations so that the debate is well informed. I would suggest that students, perhaps represented by their elected representatives, ought use the public speaking opportunities at council meetings to engage with councillors. This entry was tagged Cambridge University, Election, Election 2010, Hilman, Huppert, Juniper, Liberal Democrats, Sport, Students' Unions, Zeichner on April 21, 2010 by Richard Taylor. @RTaylorUK very interesting post on a subject I knew nothing about. Will raise with local candidates when they knock on my door. I think part of the problem is that Cambridge University students are insulated from the city. You live in college-provided accomodation in the centre of the city for three years, eat in college-run canteens, use streets that are predominantly occupied by students and tend to engage with the real world only at the level of Sainsbury’s and local pubs and clubs. That’s an oversimplification, I’ll grant – not every student lives in the centre and plenty of them do aim to involve themselves more in the city life – but my own experience is that this took an active effort on my part. Students won’t vote on local concerns in Cambridge until local concerns affect them. And Cambridge University students are heavily insulated, much more so than with, for example, ARU. That said, I’m not sure how you would try to involve them more without taking away some very good bits of the Cambridge student lifestyle – guaranteed accomodation, good transport links and the like. I agree completely – the key part of the obligation the University has is to get on and build the facility. Mr Owers is campaigning against Christopher Brown (Lib Dem), Lara Hillman (Con) and Adam Pogonowski (Green). Lib Dem Cllr Nimmo- Smith – Personal Interest: received supervision and examination fees from Cambridge University (Cllr Nimmo-Smith implied when making his declaration that he only sometimes gets paid for the supervisions he does and appeared to be using the declaration to make this point; the official minutes missed it though). It’s worth noting that “personal interest” means that having declared the connection these councillors still vote on matters affecting the university. This strikes me as a slightly odd point for someone with a cantab.net email address to be making. Lots of people in Cambridge have connections to the University; it’s hardly surprising. Nobody would suggest that because you spent 2001-2005 at the University that you are in any way “in hock” to it, yet here you are suggesting that Lib Dem councillors are, because of their University connections. Yet more evidence that when you have an opportunity to criticise the Lib Dems, rational argument goes out of the window. Phil Rodgers is a Lib Dem activist. The Cambridge Student today has an article reporting that the University of Cambridge has significantly scaled down its sports centre plans. re 5. Indeed; and a user of the Fenners gym, for that matter. I don’t quite see how this defends your claim that the Lib Dems are “totally in hock” to the University. I didn’t make the claim the Lib Dems were “totally in hock” to the university, the Labour candidate for Abbey – George Owers – did. What I did was provide evidence of the number of councillors with a declarable interest relating to the university of Cambridge. You quoted George Owers and then said “I agree completely”. Are you now saying you don’t agree completely after all? I believe the University is the second highest employer (NHS is first?) in the City? So, surely we should have a lot of councillors with connections to it? Isn’t that quite representive? There is no way this centre could be financially viable without cooperation between the university and city in it’s usage. *I have been told Cllr Herbert’s partner doesn’t work at the University of Cambridge, but at ARU and there was an error in the minutes. * It is often very useful to have councillors with a connection to the university – what’s important is that their connections are, and how they might be influenced, is publicly known. *I agree – the council has a key role here and needs both to push the university to make good on its commitments, and to contribute positively by opening a transparent negotiations with the university on public funding and public access. You have invited my reaction and indeed I was at the Peterhouse hustings where this issue came up. I regret that I am not sufficiently up to speed on this topic to offer an informed view right now. The only thing missing is an indoor pool, any mention on that? A 50m pool is currently listed as being “phase 3″ of the sports centre project. On the 25th of July 2013 the University of Cambridge announced the price list for users of its soon to be opened sports centre. It appears the pricing structure is not aimed at the typical student, or city resident for that matter, who is seeking to keep fit. The costs appear to pitch the new facility up against expensive commercial offerings so aimed at serious gym-goers or those with plenty of spare cash and not the student, or city, populations at large. Public membership is £31-£49 per month and student charges are from £19-£43 per month. I see Imperial College, where I did my undergrad degree, in sharp contrast with the approach taken by Cambridge University, offers free gym and swimming pool usage to all its students. The published material doesn’t make clear if Cambridge University is copying one of the most problematic elements of commercial gym pricing, a contract, which requires monthly payments to be made for a period of time, or if users will be free to walk away or reduce their tier of membership whenever they want. It is not clear who is eligible for student pricing. Is it only University of Cambridge students, or are other students included too? What about those attending other universities in the city or who live in Cambridge but are students elsewhere? There are no details of arrangements for access by school pupils, either individually or as part of school organised activities. There appear only to be monthly subscription options, and no published charges for casual use of the facilities. Even the community pricing has “blue” as its top level. This shows an astonishing arrogance from the university, assuming the wider public will be aware of their terminology and use of the term “blue” for elite athletes representing the university. I suspect many new students and those from outside the university will be confused. The relevant section of the S106 (development tax) agreement signed in February 2013 describes the conditions set down by the local councils for the provision of the sports facilities. In terms of operating the sports centre the agreement refers to the “West Cambridge Sports Facility Management Strategy”. The definitions section of the agreement states this is to be submitted to Cambridge City Council associated with planning application 11/0979/REM, it has not yet appeared online as a document associated with that application so presumably is yet to be submitted and considered. When the management strategy is submitted that appears to be an opportunity for councillors to set out their requirements in relation to things like pricing and access. I hope our councillors are on the ball and ensure the strategy is considered and debated in public and appropriate publicity is associated with submission so that all those with an interest, in particular student representatives, can let councillors know their views. The university is being let off contributing to public facilities, so the arrangements for public access need to be tightly regulated by councillors to ensure a fair deal is obtained in the public interest. As yet it appears concessions are offered to students and alumni; other groups such as the elderly or those recommended to make use of the gym on medical grounds but without the means to pay. Another group not considered is City Council staff (councillors negiotiated free swimming for their staff at those pools they own and contract out the operation of in the city). On a related point the agreement states that if the University of Cambridge does not build the swimming pool within seven years of the first property being occupied on the University site between Huntingdon and Madingley roads the University will have to stop development and pay a “fine” to the Cambridge City and South Cambridgeshire District councils. If the direct link to the document doesn’t work (the council’s system is very broken) visit http://idox.cambridge.gov.uk/online-applications search for 11/1114/OUT and from the documents tab select Application Legal Agreement/S106/UU SCHEDULE 08 – SPORT AND PUBLIC ACCESS TO WEST CAMBRIDGE or view the full 641 page agreement via South Cambridgeshire District Council. I presume it is there that, if it is ever published, it will presumably appear. It’s not that different to the cost of joining Kelsey Kerridge, though ( see http://www.kelseykerridge.co.uk/index.php?pageid=4030 ) though with some gyms this is optional as you suggest. I can’t see this being looked on badly though it would be nice if they did have pay by session charging of course. Does Cambridge University Sports Centre not have a swimming pool? I would expect a semi-olympic length of 25m to be the absolute minimum. As noted above a 50m pool is proposed; and the council is requiring one be built within 7 years of the occupation of the first homes on the site between Huntingdon and Madingley roads. 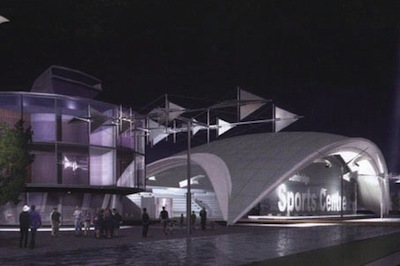 Prior to the first use of the sports centre, a management strategy for the use of the building hereby permitted, which will include the level of access for members of the public, sports and community groups, shall be submitted to, and approved in writing by the local planning authority. The development shall then be run in accordance with the management strategy with such further variations as the City Council may agree in writing. The University has announced it intends to open the sports centre on the 19th of August; it submitted a proposed management strategy on the 21st of June. A direct link cannot be provided as the council’s online planning system is very broken. It is listed as	DISCHARGE DETAILS – CON 2 on the documents tab of the online application file. The planning file does not show this has been approved and the council’s meeting calendar doesn’t show any upcoming meeting at which it is to be considered by councillors. The management strategy submitted is a brief three page document containing few details. It does state that monthly membership will need to be paid by direct debit and that it “will be taken for 9 months” though the question of a contract or the ability to cancel at any time is not addressed. The minutes of the planning meeting which approved 11/0979/REM state it was approved by a 7-1 vote, as per the officer recommendation. The minutes do not show clearly if councillors or officers are to consider the management plan. It is possible that councillors have delegated this important decision to their officers. The management strategy submitted to the council by the University only contained pricing for “non-university” users of the centre; the alumni and student prices published were not included. My understanding is that if the University wish to charge students to use the centre they will have to apply to the council to be able to do so. (They have re-done their website though; although the broken link is from their top news story). While a candidate for election you wrote to me via Twitter, in relation to the University of Cambridge Sports Centre to say “Libs totally in hock to the Uni – council should get tough with the Uni to make sure that it meets its obligations to community”. The University plans to open the centre next Monday, on the 19th of August but as yet, according to the planning file for 11/0979/REM the council has not yet approved the submitted “management strategy”, which includes the pricing and access arrangements. Are you able to act in line with your pre-election statement and ensure that residents, including students, get a fair deal from the new sports centre? Can you ensure the University’s proposed management strategy is well publicised and the decision on accepting it or not is taken in public by councillors? I note the proposed strategy contains no proposals for charging levels for students; although the university did publish (between the 25th of July and the 13th of August) a price list including such charges. Perhaps they will be submitting a new strategy? Have you and your fellow councillors put a process in place to ensure a management strategy is approved before the centre opens? Do you expect the approval to be given in time for the announced opening day? talking to the relevant executive councillor? original planning officer, Patsy Dell, and Liz Bissett. I have not claimed that Cllr Owers is any more responsible for the sports centre pricing and access arrangements than any other councillor. I think it’s odd that a councillor thinks that a pre-election statement; something which electors may have taken into account when deciding if to vote for them, is not something which their performance should be assessed against later, when they are in office. The relevant executive councillor is Tim Ward, who I have contacted, his response is below.
.@RTaylorUK I'm checking whether officers think there's a problem. It's completely usual to delegate discharge of conditions. I suspect that from a council officer’s point of view there will be no problem unless someone alerts them to the university actually doing something like charging students for use of the centre without an appropriate approved management strategy, putting them in breach of their planning permission. @RTaylorUK @Cambridge_Uni @camcitco I'll look into it. the current version of the document is not yet sufficiently developed and that there is more work to do on it before we will be in a position to consider approving it. This makes clear there is no approved management strategy in place ahead of Monday’s planned opening. The centre will not be able to open legally as planned though they may be able to perhaps offer tours of the facilities. we were not intending to prohibit the University from opening their sports centre whilst we continue our discussions. presumably the use of the past tense indicates the council are now re-considering their position. It would be scandalous if they were to allow the the university to run the sports centre without the required planning permission in place, and in a manner which has not been agreed by elected representatives. The officer also reveals that while the consideration of the management strategy was to be delegated solely to officers councillors are now being invited to get involved. As yet there is no plan for the consideration to take place in public at a public meeting, but that is what I would like to see. I don’t think councillors ought be considering the submission, debating it, and making the decision on if to accept it or not, behind closed doors. Cllr Owers has sent me a fuller copy of the email from planning officer Brown. This reveals that a number of councillors are interested in being involved in the decision on the sports centre management strategy. Those councillors I’m now aware want to have an input are Hipkin, Reid, Owers and Brown. Presumably with this level of interest the council will have to “un-delegate” the decision and take control of the matter back from their planning officers. Looking at the Cambridge News it has indeed open. It’d be interesting to have a councillor here to explain how the planning actually works to allow this. Please. A development without planning permission is not “allowed”; councillors will now have to decide if to take enforcement action; which could ultimately include sending the bulldozers in. The council has to behave reasonably though and the reasonable course of action is to get on and negotiate a management strategy and tie up the other lose ends required before permission can be formally granted. The council told me, before they formally told the university, that they weren’t happy with the management strategy proposed by the university; hopefully Cllr Ward will be putting a rocket under his officers and explaining to the next Environment scrutiny committee (or full council) what went wrong here and what’s been done to prevent a recurrence. Local activist Richard Taylor has even suggested that the Sports Centre could be used as a springboard to grant the public wider access to other University and College facilities. Perhaps wider access to other university (college) facilities across the city could be thrown into negotiations too. Tweeter Phil Rodgers alerted me to the fact the article wasn’t about the opening, but had been written some time ago. One issue affecting public access to the sports centre is parking – not everyone will want to walk or cycle there. I get the impression that there won’t be any nearby public parking; on enquiring by email a couple of weeks ago I was told “Car Parking information for the new centre will also be appearing on the website shortly, but nearby is the Madingley Road Park & Ride which can be used and is a short walk away.” – in fact it’s over half a mile away, and I’m not sure how pleased the County Council would be at this suggestion. Well if they’re going to compete for the drive to the gym to sit on cycling machines crowd from Nuffield Health they’ll need parking. Once the 50m pool is in, that’ll surely attract people from a very wide area; many of whom I’d expect would drive. I’ve checked the online planning file for 11/1114/OUT on the City Council website and there has been no updated management plan submitted and no formal correspondence on the subject. Richard Taylor The University Sports Centre on the West Cambridge site opened recently before the council had approved the management plan which was a condition of the planning permission. Now I’m aware that four councillors have said they are not very happy with this, and two of them are here tonight. Hipkin and Reid, Owers and Brown. Now what I want to know, perhaps particularity from councilors Reid and Hipkin is what are we going to do about the fact we’ve not got any agreement on prices and on management. Cllr Sian Reid Did you mention me? Richard Taylor Yes I did because the planning officer responded to Cllr Owers (after I wrote to him, he wrote to them asking what the situation was, and they wrote back to say there were other councillors who had expressed concern and you and Cllr Hipkin were among them). I’m concerned that residents as a whole get a good deal and students too. It’s important now but it will be increasingly important when that sports centre expands and you’ve got an Olympic swimming pool, for example, there in the future. Cllr Sian Reid I’m afraid I don’t know. I was not aware it had opened without the management plan. I agree we’ve got to sort that out. The management of it is very important, especially in the context of the North West site. I don’t know any more about it but I will investigate. Officers can copy me into this. Cllr Roderick Cantrill I was just going to say it is very important to get it right. I did look on the website I think residents, for just a low membership level is £20 and for the actual premium membership it is much higher. I think we do need to take every action possible with the university because the university as part of the North West Cambridge developer contribution agreed that we would have this type of access on the West Cambridge site so we need to get it right now and we need to get it right in the interests of residents and students because if we don’t get it right now it’s going to have as you say a silting impact into the future as prices go up. Cllr Roderick Cantrill I agree. I think what should happen is we should come down hard on the university because we did it in good faith in terms of the agreement on the North West Cambridge site and to be frank actually their prices are a premium price on a lot of commercial venues in the city now because there’s over capacity at the moment. They shouldn’t be after the commercial market anyway. Cllr Sian Reid I was on the planning committee that went on the website and my …the comment was certainly discussed at committee and there was certainly a meeting with ward councillors about this and officers and my recollection was the pricing would be pitched towards the city council kinds of facilities. That’s my recollection. That’s my understanding of it. I think it is worth looking into and getting a response from officers. Cllr Simon Knightley Thanks for raising the question. It is astonishing that despite officers being aware of Cllr Reid’s interest in the sports centre they had not expressly told her it had opened without permission leaving her unaware. A question which I would like to see put at the next full council is if planning officers are acting within their powers when in deciding not to act against the university. I would like to know what process is in place so councillors and the public can have their views heard in public during the negotiation on the access and pricing arrangements. As I’ve noted above one of the key omissions in the University pricing structure is any arrangement for casual use by those not willing to enter a monthly subscription arrangement. This is one of the areas where it is quite different to the City Council owned gym. While there are a couple of outstanding issues under discussion before the planning agreement can be fulfilled, the council’s planning manager said at a meeting with the university that they were happy for the building to be occupied. I agree enforcement wouldn’t be proportionate; what we need is negotiation, ideally in public.